The Auction Archive is a free resource provided by GreatCollections, which you can use to research U.S. and world coin and currency values in the most accurate way possible... based on real transactions. Search 610,778 certified U.S. and world coins and currency sold by GreatCollections. This archive is updated immediately as more U.S. Coins are auctioned by GreatCollections each week. Many collectors, advanced numismatists and dealers use this U.S. Coin price guide as a resource for determining values of U.S. and world coins and currency, but please remember that the market changes regularly and even two items graded by the same company at the same grade can sell for different prices based on quality, eye appear, rarity and other factors. You can also view our Record Prices for Rare U.S. Coins, showcasing some of the highest realizations for U.S. 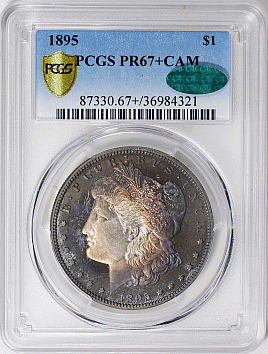 Coin auctions at GreatCollections. GreatCollections has sold 610,778 U.S. and world coins and currency in the past 9 years, selling at prices from $1 to $236,250, in grades 1 to 70. You can try expanding the Grade Range to 1-70, or even reset the all the filters. we will notify you when one is available. We have bidders looking for coin and currency in all grades.